Here's a look at behind the scenes on what we're up to in the last while. It's not an exhaustive list of the events we're putting on, but it's a look at some of the productions we're involved in, and some updates on what we are doing as a company. 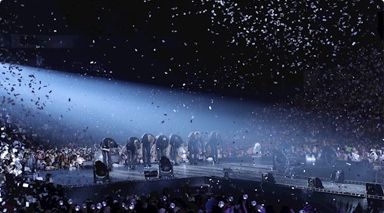 “Not content with merely owning the global music charts, Korea’s most successful export, the boy band BTS, has now officially conquered the big screen as its full length film, Burn The Stage: The Movie, debuted to a scorching U.S. three-day weekend haul of $2.3 million. On Wednesday, Trafalgar Releasing will begin rolling out its latest slate of hit London shows, all of which have been captured on film in an effort to broaden their audience.